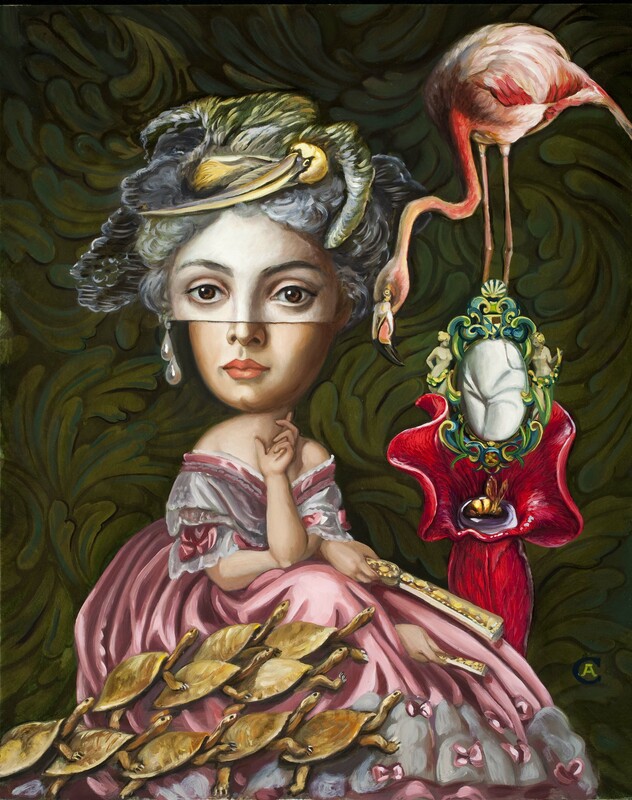 Carrie Ann Baade‘s lush oil paintings link historical masterworks with contemporary experience. 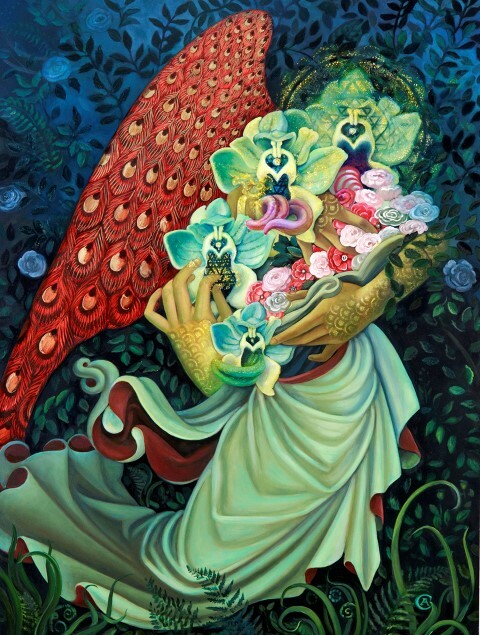 Her work mines images from antiquity to the modern era, and she uses these pieces as a foundation to construct surreal landscapes inhabited by otherworldly figures and electric flora and fauna. 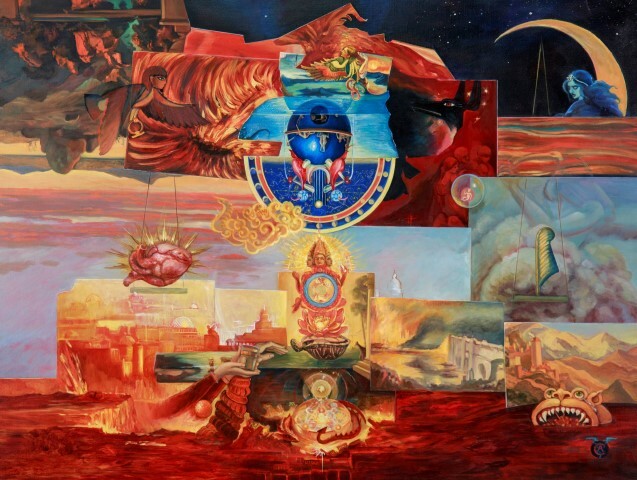 The artist establishes a dialog with the past, injecting a contemporary voice and reinterpreting the historical fragments using her original feminist and autobiographical perspective. 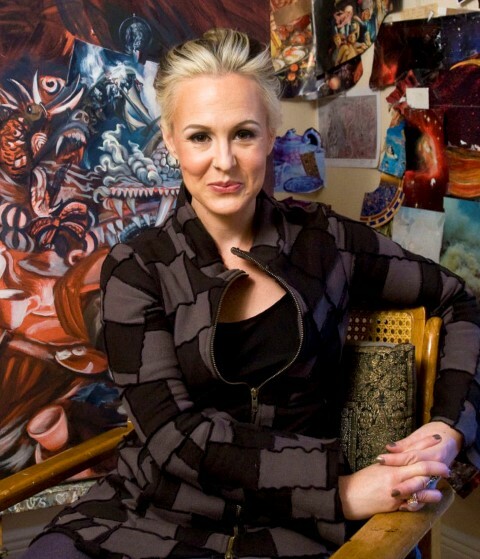 Carrie Ann Baade is a 2018 proposal winner.